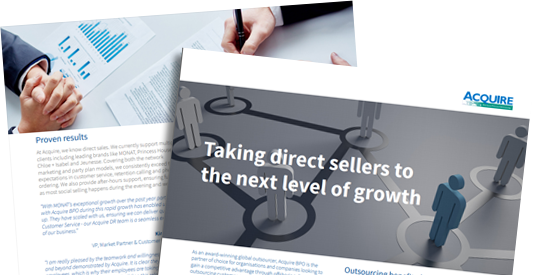 Drive sales, improve service delivery and create remarkable customer experiences with dedicated offshore support developed for direct selling organisations. Leverage our expertise in delivering successful contact centre and back office services for direct selling businesses. With over 12 years' experience in providing contact centre and back-office services, we're the preferred offshore provider and trusted "growth expansion partner." We help consultants and customers via phone, email and web chat, whether it's regarding orders & shipping, account modification, enrolment, refunds and returns, product enquiries, promotions, incentives, commissions, etc. Fill in the form below to learn more about scalable, personalised solutions that reduce cost and improve quality.